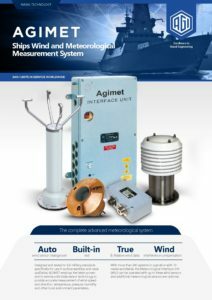 AGIMET employs the latest proven and in-service solid state meteorological sensor technology to provide accurate measurement of wind-speed and direction, temperature, pressure, humidity and other local environment parameters. A typical ship’s system will comprise two solid state wind sensors – mounted port and starboard together with additional meteorological sensor options. The AGIMET system employs solid-state ultrasonic wind sensors, proven to be more accurate and reliable over time than its mechanical cup and vane counterpart, thus providing through life cost savings. In addition the AGIMET system incorporates features specifically designed for naval ships to enhance wind measurement accuracy to aid safe flight operations and effectiveness of the weapons and decoy systems. Information is transmitted digitally, simplifying data handling and in many cases alleviating the need for dedicated re-transmission units. 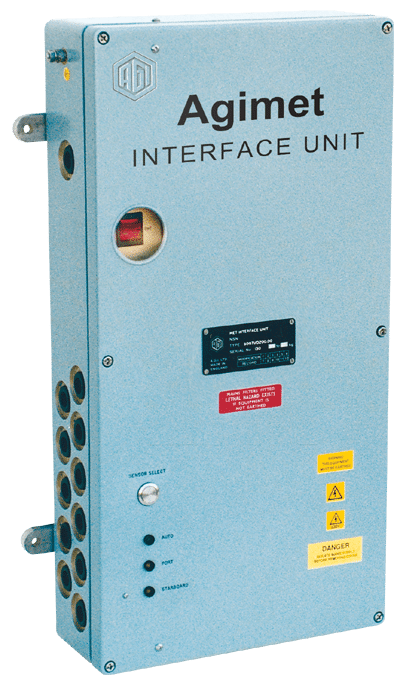 Wind outputs from the sensors are monitored by the AGIMET interface unit data is continually and automatically selected from the most windward sensor. When ship’s speed and heading are inputted, true wind data is calculated and provided as an output. The system, when combined with AGI’s extensive range of repeaters, provides distribution and display of many meteorological and navigation parameters.